A longwearing foundation for stress-free days in the outdoors! In a single step, this high coverage foundation with cushion provides a glowy, flawless and clear complexion. Its fresh texture conceals imperfections and blemishes, all while letting the skin breathe, unveiling a radiant complexion. 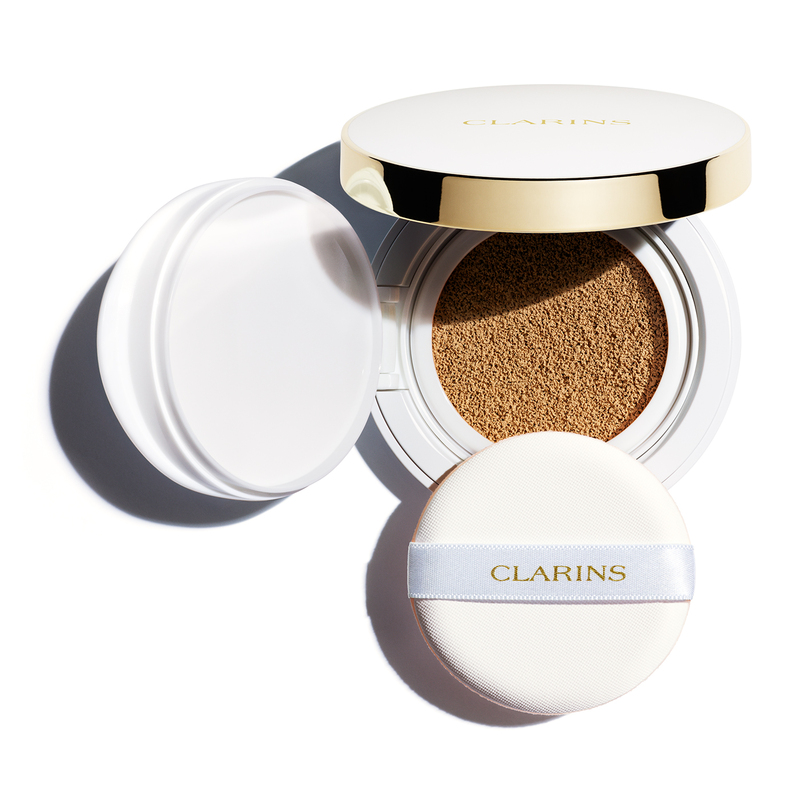 Travel-friendly and convenient like a compact foundation, unifying and corrective like a liquid foundation, it protects the skin, thanks to its SPF 50 / PA+++ and the Clarins anti-pollution complex. A transfer-proof foundation that preserves the skin’s hydration and ensures a glowy complexion. Fabulously fresh, glowing complexion at all times. 24 hours* of non-stop hydration. helps strengthen the skin's barrier. Apply by patting the product onto the face to adjust the result for a barely-there finish or fuller coverage.